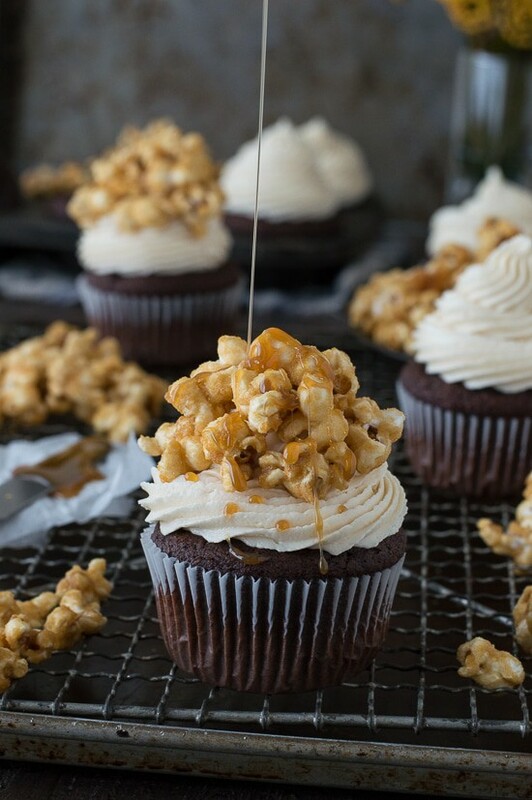 Awww.. chocolate caramel corn cupcakes. Cupcakes are no problem, have you seen the collection we have going?! 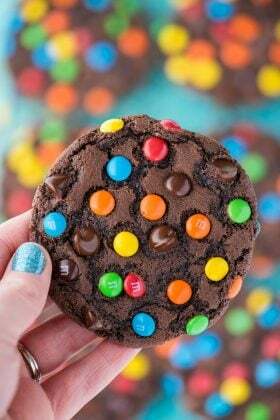 with real melted chocolate in the batter! Now onto the caramel corn..
…yeah, I got nothing! I had never made caramel corn before. But I have made stove top popped popcorn so that helps, kind of, haha. And I have made homemade caramel sauce.. so we’re getting closer. After that attempt, I made caramel corn 4 more times. I overcooked batches 2 and 3, again. And then batch 4 happened, and it was almost like Ree Drummond was by my side telling me what to do, haha. It came out perfect and more importantly, it actually looked like caramel corn! So here’s my secret tip – SLOW DOWN! I kept rushing the cooking process of the caramel, cooking it over too high of heat or cooking it too long because I wanted to get the right color. I learned that even if you don’t technically cook the caramel long enough on the stove, the process of baking the caramel corn in the oven will help the caramel become more crunchy, just like caramel corn should be! Problem solved! In a mixing bowl, combine the butter and vegetable shortening, beat using an electric mixer until fluffy. Add in the caramel sauce and salt, and gently mix by hand with a spatula. Begin to add the powdered sugar, about 1 cup at a time, mixing by hand. 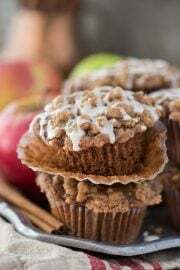 Continue adding powdered sugar until the frosting no longer looks wet and tastes good to you. Then I use my electric mixer one last time to make sure the powdered sugar is really incorporated and you're ready to frost! In a large pot over medium heat, add the vegetable oil and 3 popcorn kernels. Be sure to place the lid on the pot. Once the 3 kernels pop, add in the rest of the popcorn. Occasionally shake the pot to prevent kernels from burning. Remove the pot from the heat once the popping stops. Prevent the oven to 200º F.
In a medium pot over medium heat combine the butter, corn syrup, and brown sugar, stirring constantly. Continue to stir until the mixture begins to boil/bubble. This may take up to 5-7 minutes, but eventually it will bubble. Once it starts to bubble, allow the mixture to continue to bubble for 4-5 minutes while constantly stirring. After 4-5 minutes, remove the pot from the heat. Quickly stir in the vanilla, salt and baking soda. 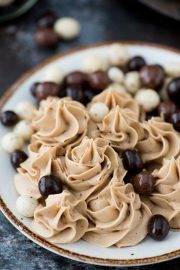 The baking soda will cause the mixture to bubble and foam, and it will keep the caramel from becoming too hard. Pour the caramel over the popped popcorn and mix well. Evenly distribute the popcorn onto a baking sheet (or 2) and bake for 1 hour, stirring every 15 minutes. If you like crunchier popcorn, bake the popcorn longer. If you pull the popcorn out of the oven and once it cools it seems too soft, put it back in the oven to bake longer, that's an easy fix! Place the caramel buttercream in a piping bag fit with your desired tip, I used the wilton 6B tip. Be sure to push the buttercream down into the bag, and twist the top a few times to secure the bag. Pipe the frosting onto the cupcakes, starting on the outside edge and progressively stacking the frosting as you go towards the center. 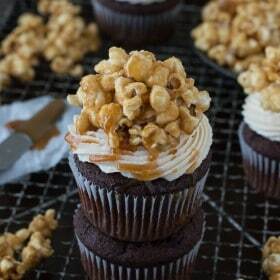 Add a small handful of caramel corn to each cupcake, pushing the popcorn into the buttercream slightly. Drizzle with extra caramel sauce if desired. I’ve never made caramel corn before – I think I need to start! These cupcakes look amazing! 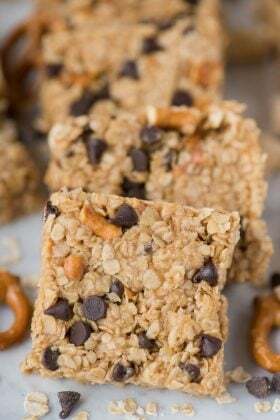 I am loving the flavors and I can only imagine the awesome crunchy texture! NYUM! Yes! I am not alone in the caramel corn department! Wow! These cupcakes look heavenly. So many delicious floors and and full of yumminess. So good! Ahhhh!!! How?! What?! Okay, dad’s next birthday, he is getting these! 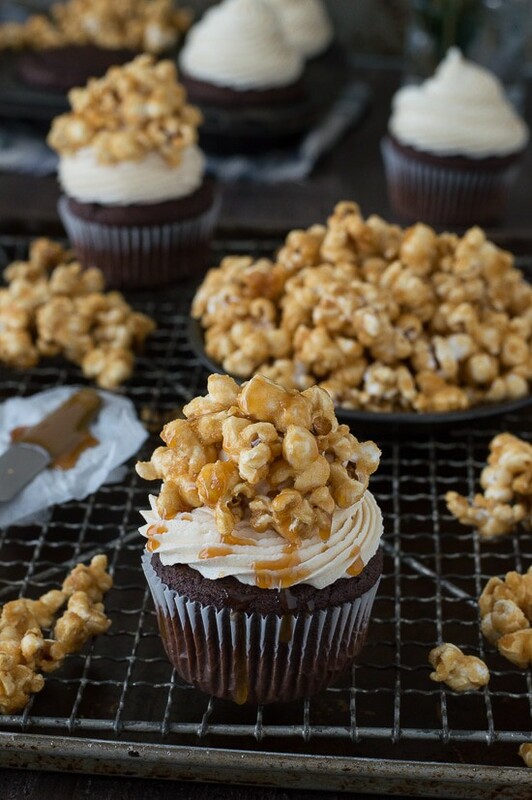 Caramel and cupcakes, and popcorn, oh my! What fun cupcakes! Love the caramel corn topping! I’m such a texture girl and the crunchy popcorn on top of the soft cupcake looks absolutely dreamy to me! Love these Beth! 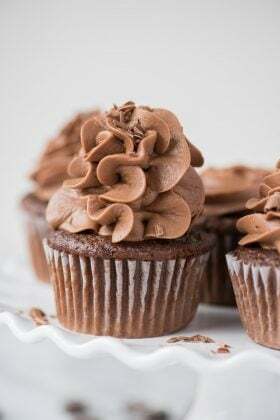 I am always looking for good cupcake recipe! These look fantastic! These are BEAUTIFUL Beth! Don’t you love it when hard work pays off? Pinned! 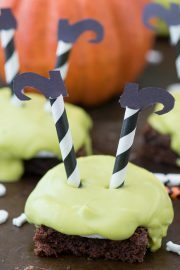 I’m a sucker for a good cupcake and these look so delicious! Girl you hit it out of the park every dang time. I think you’re my blog icon. Beautiful! Awwww, but that’s impossible because your my blog icon!! You are seriously speaking my language right now. 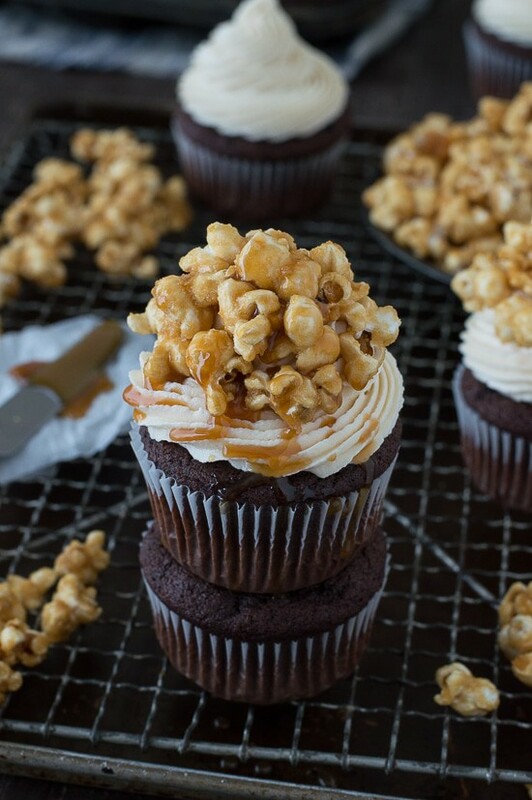 Chocolate, cake, and caramel corn?! Ohh, you can bet I’d take these down so fast! 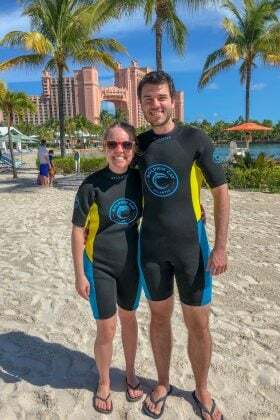 They look amazing! I remember your attempts at making the caramel corn earlier this year! I am so happy to see it here and can’t wait to sink my teeth into these! Will.. we might have eaten a batch or two before the cupcakes actually got some popcorn! Caramel corn would probably taste good on top of anything!